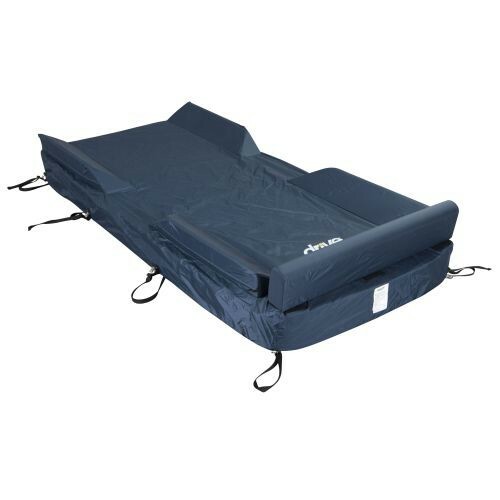 Drive Medical Defined Perimeter Mattress Cover is designed to create a raised perimeter rail that helps reduce the risk of falls, without the need for patient restraints. The Drive 14333 Perimeter Mattress Cover is open in the mid-section to allow for easy and safe patient entrance and exit. This cover features built-in, medium density foam raised bolsters that line the edges of the bed for maximum comfort and safety. It is easy-to-install and secure. This cover is made out of breathable nylon, which makes it ideal for foam and powered air surfaces. You may also be interested in the Safe-T-Guard Mattress Covers by Meridian Medical, on sale at Vitality Medical today.